Every day, Watch This offers staff recommendations inspired by a new movie coming out that week. This week: In honor of Joseph Gordon-Levitt’s Don Jon, we’re singling out some of our favorite feature directorial debuts by actors. Sylvester Stallone’s directorial debut, Paradise Alley, is a prototypical vanity project: a wrestling-themed period piece set in 1940s New York that opens with Stallone warbling a maudlin piano ballad over the credits. 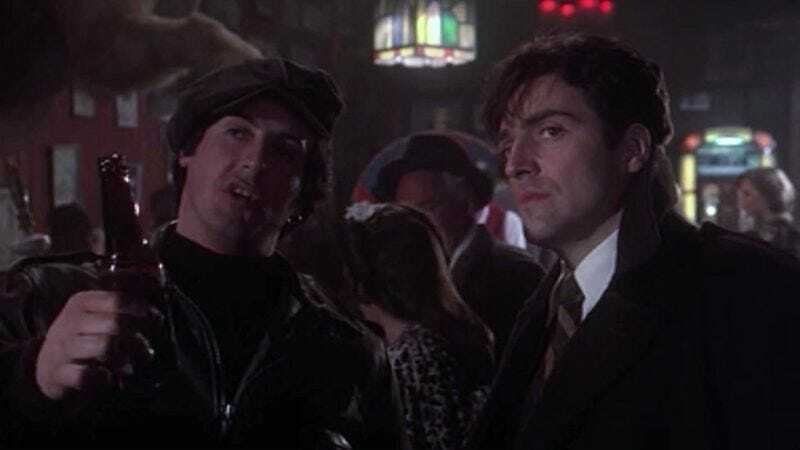 However, unlike Stallone’s subsequent directorial efforts—all but two of them Rocky or Rambo movies—it wasn’t produced to satisfy franchise fans or meet genre expectations; when Paradise Alley was greenlit, Stallone was considered a bankable Oscar-nominated screenwriter and actor, rather than a bankable action star. Working with producer Edward R. Pressman, a specialist in chancy oddities, Stallone created an eccentric, feverish drama about working-class nobodies trying to survive in a hostile environment. Like Martin Scorsese’s films from the same period, Paradise Alley melds intense ’70s acting styles with Expressionist formal effects. Its climax, a 12-minute wrestling match set under a leaky roof during a thunderstorm, plays like the finale of a silent film, transforming characters into archetypal figures struggling against elemental forces. Leos Carax, then a critic for Cahiers Du Cinema (an informal rite of passage for ambitious French filmmakers), summed up Paradise Alley as “an orphan’s nightmare.” This phrase comes as close as any to explaining what makes the film so compelling. The main characters, played by Stallone, Lee Canalito, and Armand Assante, are orphaned brothers who have only each other to rely on, but whose relationship is tested by the possibility of money and success. In turn, the film’s expressive visual design—which really stresses the Hell in Hell’s Kitchen—evokes a dangerous, doomed world. The result is striking in the way it evokes fears of abandonment—children’s worries blown up to grown-up scale—and completely unlike any film Stallone has put his name on since. Availability: Paradise Alley is available on DVD, for rental or purchase from the major digital providers, and to stream through Netflix.